The latest news about commercial agreements for the WineLab’s sale all over the world come from the Middle East. 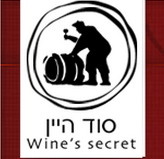 In Israel Wine’s Secret will be the company to refer for purchasing or get information about the wine and must analysis system developed and produced by CDR. Wine’s Secret is a supplier of facilities and accessories for wineries and wine makers, oenology products and other facilities and products for breweries. Now a distribution agreement allows Wine’s Secret to sell WineLab analysis systems as well. The company is located in the moshav Tirat Yehuda, nearby Ben Gurion Airport. In the next month our CDR Winelab Specialist, Simone Bellassai, will fly there for a quick visit and professional meeting with the Israeli technicians of Wine’s Secret. In Israel high quality wines are produced and there is a solid experience in viticulture and agronomics. Furthermore some wineries produce Kosher wines, other good wines produced following some definite Kosher rules. In conclusion, the wine industry in Israel is very lively and we are very interested in proposing our wine and must analysis system to this kind of market, so that Israeli wineries will be able to realize an efficient quality control, based on easy to do, rapid and reliable chemical analysis during winemaking. New distribution agreement with Israel for wine analysis was last modified: May 22nd, 2017 by CDR s.r.l.